Thomas J. Doll, Subaru of America President and Chief Executive Officer, accepts an award from the New England Motor Press Association (NEMPA), but he lets others share the love. The top U.S. Subaru executive didn’t take all the glory for himself, he asked that Adam Arens, Owner and President, Patriot Subaru of Saco and Patriot Subaru of North Attleboro, and Ernie Boch Jr., CEO, Subaru of New England, Inc also be recognized for their achievements. Lisa Brock of NEMPA, told Torque News, “Tom literally wanted to share the love.” At the ceremony, Subaru of America was given the award for “Automotive Company of the Year” by NEMPA. The New England auto journalist organization wanted to recognize Subaru of America top exec Tom Doll for his accomplishments. Doll has guided Subaru of America to 9 years of record sales and 10 consecutive years of sales increases. 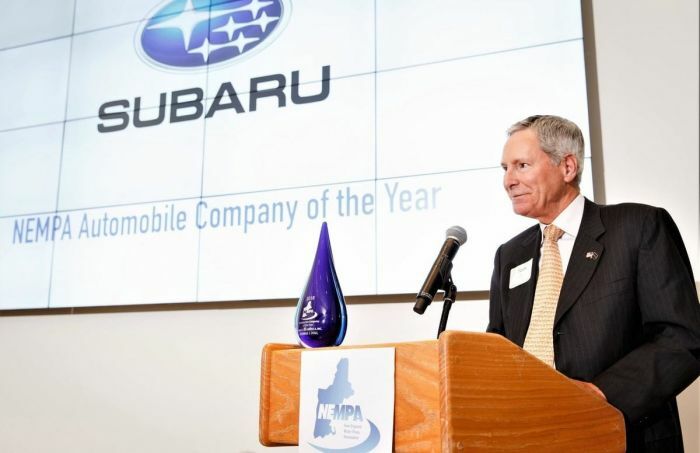 “No one knows Subaru like New Englanders do, and we are glad to honor the company and Tom Doll for their outstanding achievements” according to the NEMPA press release. A big part of Subaru’s success in the New England area is because of Subaru of New England, owned by Ernie Boch Jr., CEO of Boch Enterprises. Boch is an independent distributor for 64 Subaru dealerships in the six New England states, Connecticut, Maine, Massachusetts, New Hampshire, Rhode Island and Vermont. 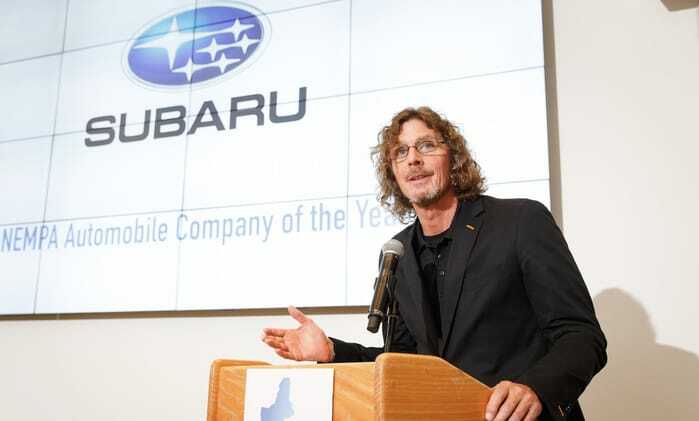 Ernie Boch Jr. sells more Subaru all-wheel-drive vehicles than any country outside of the U.S. Last year, Boch Enterprises sold close to 65,000 vehicles of the brand's U.S. total of 647,956. While Tom Doll accepted the Subaru award, the CEO is a class act and gives kudos to the guys with boots on the ground selling all those all-wheel-drive Outbacks, Foresters and Crosstreks in the New England area. Have done business with him. Know him...love him.